FLORIDA: Recount Ordered For Gov And Senate Races - Joe.My.God. After receiving unofficial election results from all 67 counties, Florida Secretary of State Ken Detzner on Saturday officially ordered machine recounts in three statewide elections – U.S. Senate, Governor and Agriculture Commissioner. Now, county election officials will feed ballots into machines to recount the results in those races. The second round of results is due to the state by 3 p.m. Thursday. 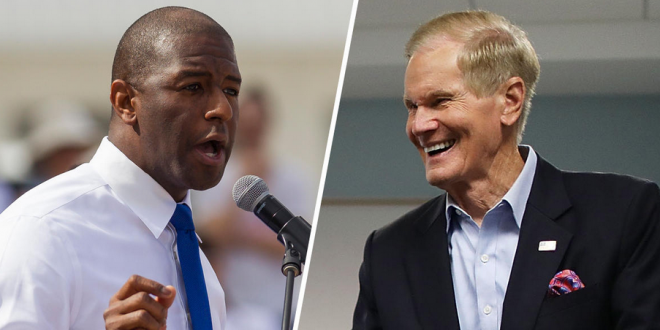 If the results show a margin of 0.25 percent or less, which appears to be the case in the most heated race between U.S. Sen. Bill Nelson and Gov. Rick Scott for Senate, a hand recount is ordered. Results from a hand recount would be due Sunday, Nov. 18 at noon. The votes cast in the U.S. Senate race were within 0.15 percentage points, a margin of less than 13,000 votes out of more than 8 million cast.